"It was a bit harsh, we were in the game for 80 minutes, and it looked like a mistake could get us back on level terms but they're a good side, their quality showed through, they're one of the top teams. 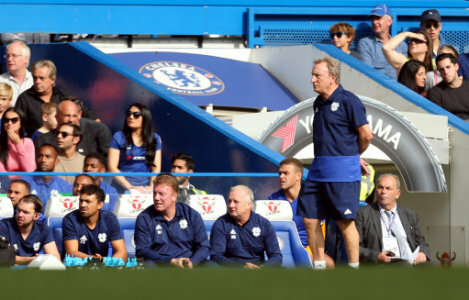 "It was well-worked, we practice that because a lot of teams block you off and don't get picked up for it so you've got to work even harder," said Warnock. "But for their first goal Joe Bennett should've won the tackle on Hazard, for the second the free-kick on Bobby Reid was minimal, and Victor [Camarasa] could've learned from what Chelsea did and put his foot in and got a free-kick on Alonso but they end up scoring - it's the little things like that." "I thought he was one of the best players in Europe, but now I change my mind that he is the best." "I think in this moment we are very dangerous in the offensive phase but not so solid in the defensive phase. We need to improve, but we are able to and can do very quickly."